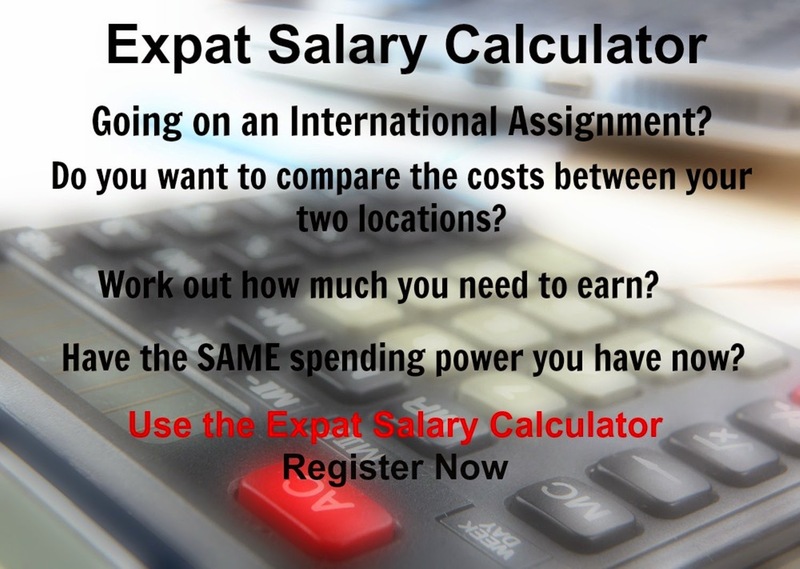 South Sudan is the most expensive country in the world for expats in April 2016 due to the extremely high cost of maintaining a secure, expatriate style, standard of living and importing goods in the world's newest country. The security risk for expatriates in South Sudan is high. Risks include a lack of government control, violent crime, theft, bandits, insurgent groups, communal violence, and cross-border clashes between Sudan and South Sudan. Other risks include poor infrastructure, often made more challenging by extreme weather. The government of South Sudan floated the South Sudanese pound (SSP) in December 2015. After the announcement, the value of the SSP, which had been pegged to the U.S. dollar at an official rate of 2.96 SSP to the dollar, fell to levels approaching the parallel market rates of 18.50 SSP to the dollar and has since recovered to 13.80 SSP to the dollar. The cheaper South Sudanese pound should help improve the government’s fiscal situation as revenues from oil exports (as well as aid flows) increase in local currency. 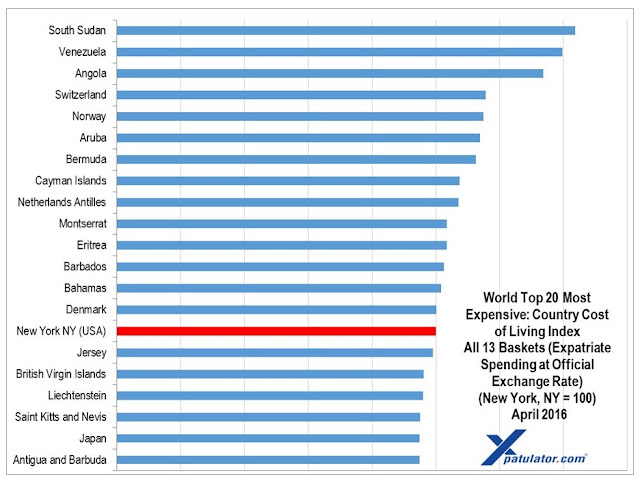 Venezuela is the second most expensive expatriate country to live in worldwide. For expatriates in Venezuela, rampant inflation, product shortages and tight government controls on foreign exchange have kept it at the top of the list of the most expensive countries globally. Oil-rich Angola has dropped two places, having been the most expensive country in the world for expatriates in 2015, to become the third most expensive country in the world for expats in 2016 due primarily to the drop in the price of oil, the resultant economic slow-down and the fact that the Angolan New Kwanza (AOA) is approximately 32% weaker against the US Dollar compared to a year ago. Switzerland is the fourth most expensive country for expatriates, due primarily to the robust Swiss Franc, as well as high rentals and institutionalised high wages.